Go behind the scenes and learn what it takes to be an animal keeper. Work with the Wildlife Sanctuary Director, Animal Curator and volunteers. You will help feed, groom and learn general animal husbandry. Have your picture taken holding an animal at each session. The Junior Keeper program has been very successful. 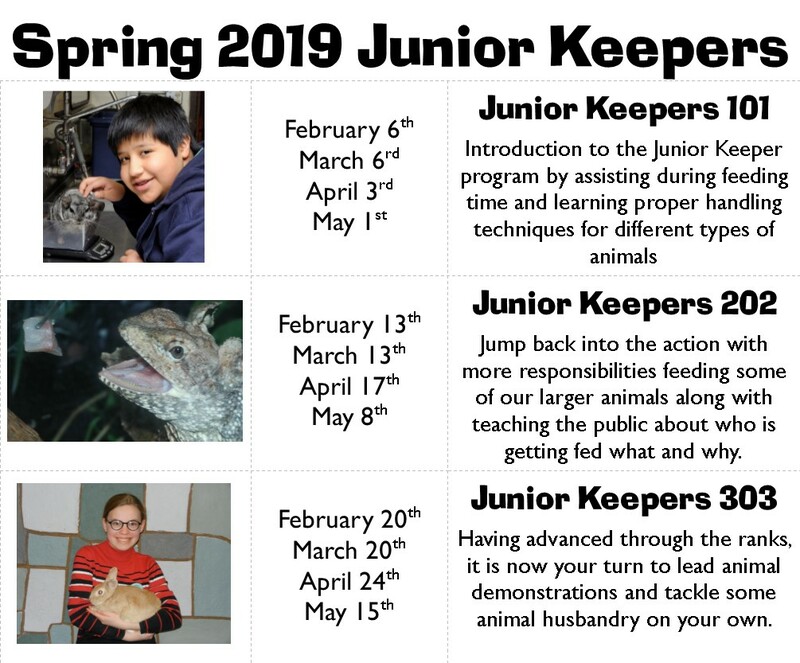 Many participants have returned for Junior Keeper level 2 and we now offer a Junior Keeper level 3 for those who just can’t get enough animal time. This program provides a great opportunity for kids that are not quite old enough to volunteer. some of our former Keepers now serve as volunteers in our Wildlife Sanctuary. Four sessions scheduled on Wednesday afternoons from 3:00 p.m. to 4:00 p.m.